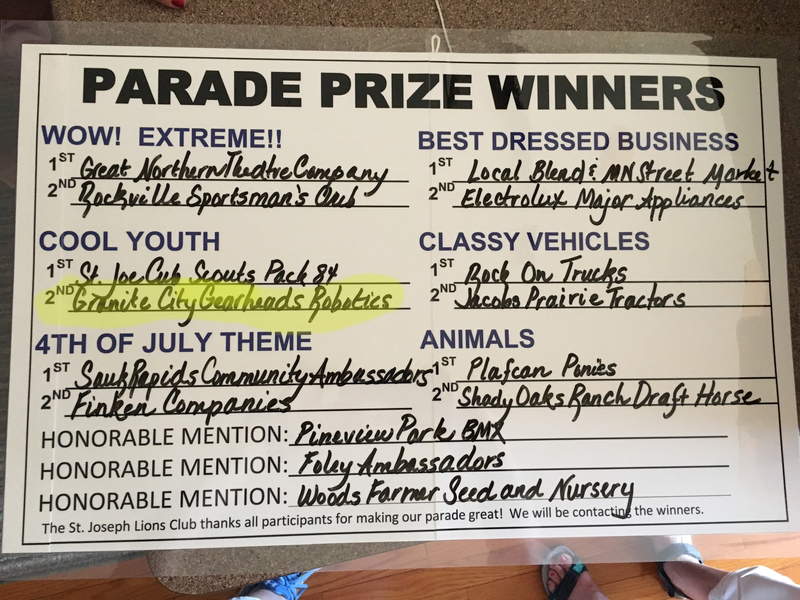 The Granite City Gearheads are pleased to announce that we were awarded second place in the "Cool Youth" category at the St. Joseph Parade, July 4. 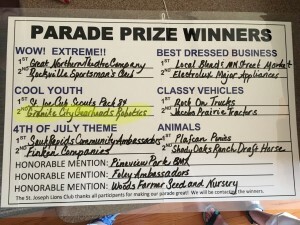 Thank you St. Joe, we always have a good time at your parade! On another, unconnected, note we would like to make our readers aware of a new program that is a part of FIRST Robotics. It is called FIRST Global. It is designed to be an Olympics type program with teams coming from aproximately 160 nations. The teams build and compete with robots similar to FTC/VEX robots. The challenges are built around real world issues, such as clean water. The inagural competition will be later this month (July), in Washington, DC.